Surfing Australia in conjunction with our state associations recognise club surfing as the grassroots of Australian surfing. Club competitions teach the skills required to pursue a competitive career and introduce surfers to the benefits of the support and friendship offered by club membership. The nudie Australian Boardriders Battle is the biggest grassroots Boardriders event series in Australia. It involves more than 100 of Australia’s best boardriders clubs across eight State qualifying rounds, culminating in a two-day National Final for 20 clubs in February at Newcastle Main Beach. The competition format includes Skins, Women’s and Teams disciplines. 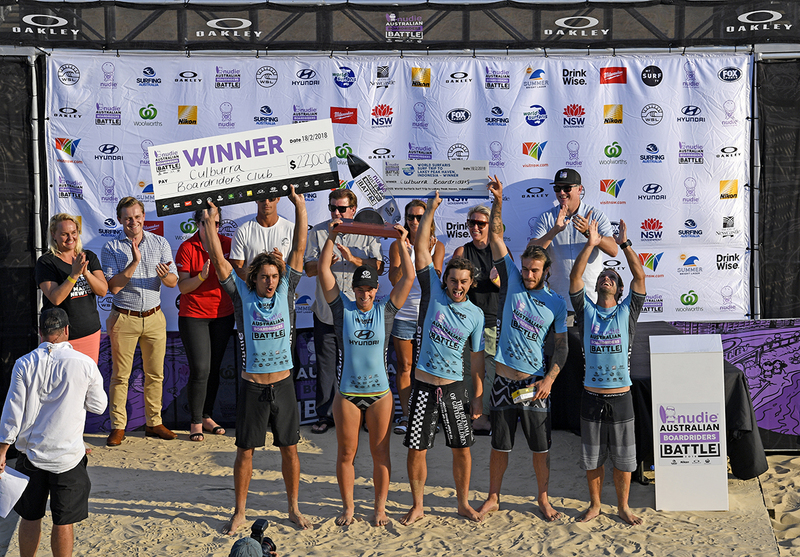 Teams of 5 members including one Under 18 surfer, three Open surfers and one Masters Over 35 surfer – each team must include at least one female surfer.